Introducing the Therapy Newsletter by physical therapy marketing expert Nitin Chhoda, a service trusted by thousands of private practice owners, hospitals and outpatient clinics. The Therapy Newsletter is a 21st century marketing solution for today’s private practices. Without the private practice, owners having to write a single word, the Therapy Newsletter automatically delivers two content rich newsletters to patients each month. The newsletter is not just an email based program. It’s a fully customizable Word document that can be printed and distributed in person. The Therapy Newsletter system was designed by a physical therapy business owner and marketing expert, Nitin Chhoda, who understands the time demands of medical professionals and that there is not often time for effective marketing. It is a fully customizable newsletter technology that solves marketing problems once and for all. It allows physical therapists to sit back, relax and let a team of licensed physical therapists generate the content that is put to work every two weeks and that keeps the therapist in front of patients and doctors, according to the brand new website, http://therapynewsletter.com. Stimulate patient referrals with built in “refer a friend” technology for patients and “one click” unlimited faxing to doctors. Print and hand out the newsletter to patients, doctors and local businesses. The newsletter is not just an email based program. It’s a fully customizable Word document that can be printed and distributed in person. The Therapy Newsletter is well overdue to the industry. It provides a perfect (and low-cost) way of staying in front of patients in the midst of schedules that get tighter each and every day. 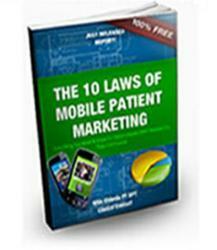 This is an excellent web-based marketing system for physical therapists. It helps remind the community about the importance of physical therapists and its benefits.